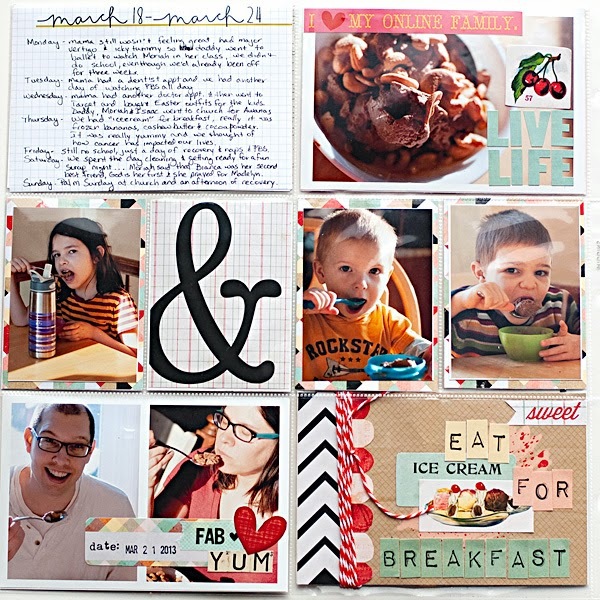 Home event ice cream for breakfast making memories pocket scrapping Who Doesn't Want Ice Cream For Breakfast?! Who Doesn't Want Ice Cream For Breakfast?! 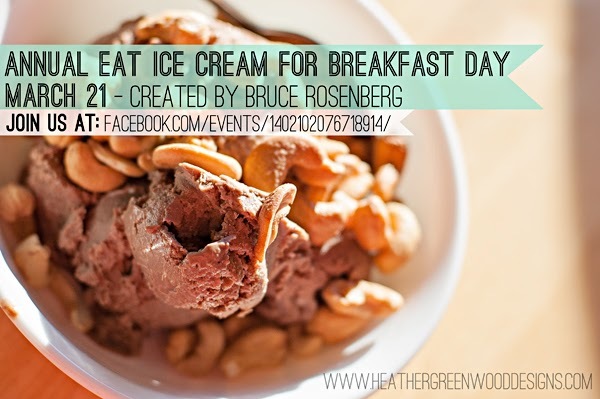 Come join me, my family, and friends as we celebrate the Third Annual Eat Ice Cream For Breakfast Day, on March 21st. This is a day created by a babywearing daddy friend of mine who lost his battle to Melenoma nine days prior to celebrating the first event. 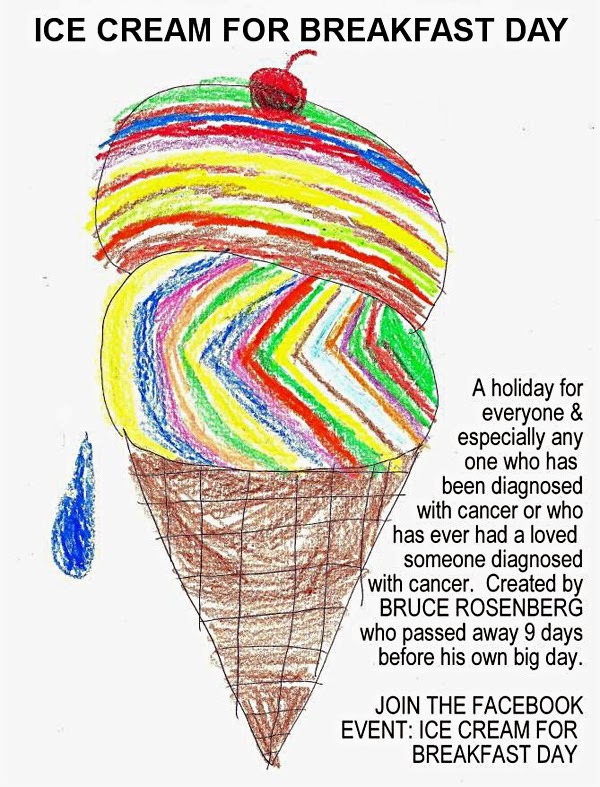 It was the anniversary of his diagnosis. It's a day to remember those we've lost to cancer and honor those who are fighting or survived cancer. I can't have dairy, so I usually either make something in the Vitamix with coconut milk, or we buy some coconut milk ice cream at the store. I haven't figured out what we're going to do this year, but my favorite is usually chunky monkey. I freeze a bunch of bananas and then throw them in the Vitamix. I then add some almond butter and dairy free chocolate and mix on full power until it's all mixed together. I usually make this the night before and freeze it. If you don't have a high power blender, you can mix it in a blender prior to freezing the bananas and then freeze overnight. In the morning, I like to mix in more almonds or some cashews and serve. YUM!!! It's hard to believe that it's been 4 years since the diagnosis and we've been celebrating for 3 years now. Time sure does fly! I would love if you joined us on this day that is very dear to my heart. Join the Facebook Event page HERE and feel free to post your pictures from March 21st and/or your scrapbook pages. I know many, if not all of us, have been touched by cancer in some way and I would really be honored if you joined us in this event and shared it with your friends and family. Thank you in advance for taking one day out of the year to do something fun and not worry about eating a healthy breakfast or following a diet or saving up enough points. We only have this one life here on earth and sometimes we have to let go of the "rules" to participate in something special and fun and very meaning-FULL. The added bonus is a beautiful and special memory, so make sure to document it too. Tell your stories of how you've been touched by cancer. Tell how you remember those people in your life. Celebrate their life and eat ice cream for breakfast! 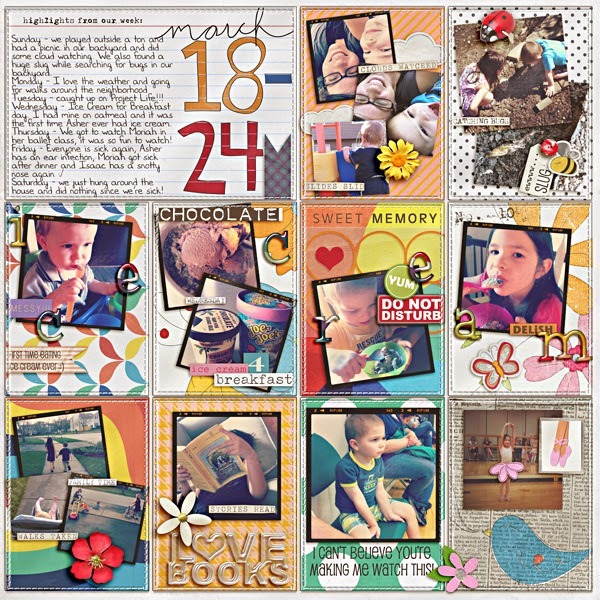 I also thought it would be fun to share my past scrapbook pages with you. I can't wait to share this year's page in the coming weeks.